Many, myself included, have written about the overuse of head computed tomography (CT) scanning in children. This concern has become more focused now that we have some data on the radiation risk of those scans. The bottom line is not that we should stop doing head CTs in children, but that we should always balance the risk against the benefit, just as we should do with all medical testing. In the case of CT, the risk is tiny, but it is not zero. That risk is worth taking if the benefit is substantially more than the risk; that is, if getting the information that the CT yields is a good exchange for the risk. Put another way, is the risk of not getting the information the scan gives us greater than the risk of doing the scan itself? As a PICU doctor I order a lot of head CT scans, and I think about this trade-off with each one. A very common reason doctors order a head CT is to evaluate a headache, even when they know the chances of finding a serious cause for the headache, such as a brain tumor, are very small. In many situations those chances of finding something bad are near zero. So how should we analyze the risk/benefit ratio between doing the CT or not? Various experts have formulated recommendations for when a head CT is indicated to help guide us in our decision-making. These include any items in the following list. The key thing to keep in mind is that serious brain problems, especially a tumor, only very rarely appear without some other abnormality accompanying the headache. A recent study in Pediatrics, the journal of the American Academy of Pediatrics, assessed how well doctors (and families, too — parents often urge doctors to do CTs) are doing. The answer is not so well. The authors of the study examined the claims records of over 15,000 children who had had at least two visits to a doctor with the complaint of headache — 25% of them received at least one head CT scan as part of the evaluation of their symptoms. 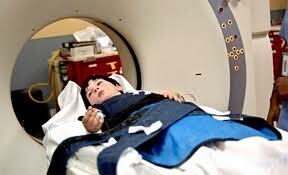 Interestingly, children seen by a neurologist, a brain specialist, were only half as likely to get a CT scan. Children seen in an emergency department were four times more likely to get a CT scan than were children evaluated in a doctor’s office. Some of these results are easily explained. It makes sense that a neurologist is more skilled in evaluating headaches and is therefore more comfortable not doing a CT than is a doctor who only occasionally treats headache. Children being seen in an emergency department are usually there because of some acute problem, so if they are there for a headache it is more likely to be new and sudden. Emergency department doctors rarely know the child, so they are probably more swayed to rule out a serious problem while they have the child there. Also, emergency room doctors order a lot of head CT scans anyway, probably too many, for minor head injuries. So they are already primed to order scans for headaches. What is the ideal number of CT scans for headaches in children? Certainly we don’t want every scan to show an abnormality; if that were the case, it would mean we are not ordering enough of them. We want most of them to be negative to make sure we are catching all the serious problems. But the finding that a quarter of all children going to the doctor for a headache are getting a CT scan is disturbing — it’s too many. Parents have a key role in this, especially since at least one study indicates that a major reason for doctors ordering all those scans is that parents are anxious enough not to trust either the doctor’s judgement or the standard list of indications for a scan, whether that’s for a headache or a bonk on the head. I have encountered that myself. Remember that the recommendations for head CT have been validated by research; if your child with a headache doesn’t fit any of them, it is best to wait and see how things go.